Importante artículo relacionado al trabajo que venimos realizando en el dojo. Para comprender y continuar estudiando. Important article related to the work we are doing in the dojo. To understand and continue studying. Oji Waza is what we refer to as response techniques, or as some understand it as defense techniques. There are many types of timing and techniques we can use to respond and capitalize on opponent’s attack. We can use Sen timing and hit the opponent as they intend to attack, we can use Sen timing while avoiding the line of attack, and this is called Nuki Waza. We can use timing of Go No Sen and catch the opponent after first attack and before they can switch to second attack. We could use variety of footwork and technique depending on the timing, distance and other factors. 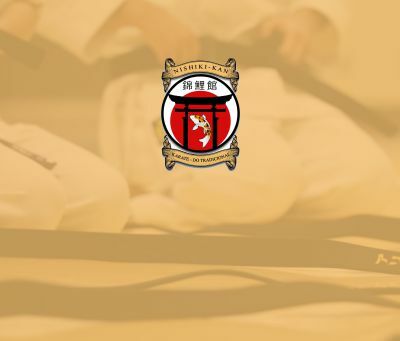 We could use Uke Waza, blocking techniques, which is done usually moving in, attacking opponent’s attack on the way to attacking the body. We could use Amashi Waza (shifting out of opponent’s range on the way to counter), Mawashi Ashi, foot circle, or other footwork. It is important to understand that what I do is not a conscious choice; it is not in the brain, because there is no time for judgment, analyzing, decision and than movement. If I choose what I will do to react, first it takes time and second I am stuck in my choice and not free to do what is necessary at the moment. When the opponent moves, my breath reacts, and my foot is already in motion. 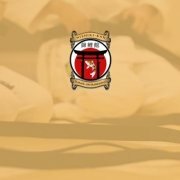 We learn through kata that the breath controls the body center, and the body center controls our footwork and technique. We practice many types of footwork, timing and techniques to respond to different attacks till those become our “body system” or acquired nervous system patterns, like a software install in the computer (hopefully quality software). We face many opponents, and with time we learn that most people have similar patterns, even though different rhythms, ranges and ways of executing techniques. As we face many opponents we learn to read the ques that they give us, we learn to see the “information” that is there before one initiates this action or another. We learn to use the eyes less and judge less in order to see more, to become sensitive to the subtle changes and the inclination of the opponent. Finally, when we face an opponent, from our body center, we already have direction, ki energy projected to the opponent, but our feet are flexible to move in any direction on the way to hitting the opponent, depending on how early or late our reaction is and other factors. · Our established “body system”. · Our accumulated experience of facing many type of opponents. We do not consciously choose, when we react, we don’t know what we are doing until it is done, yet we are aware, there is “monitoring” of self, opponent and the interaction. Ahora es el momento, no dejes pasar esta oportunidad…. Kata: ¿Por Qué Molestarse?